Camera enthusiasts take note: if you haven't visited Michaels Camera Museum you're missing out. It's equally as impressive as the Spy Camera Museum situated in Herberton QLD, if not more so due to the sheer amount of cameras they have in their collection. 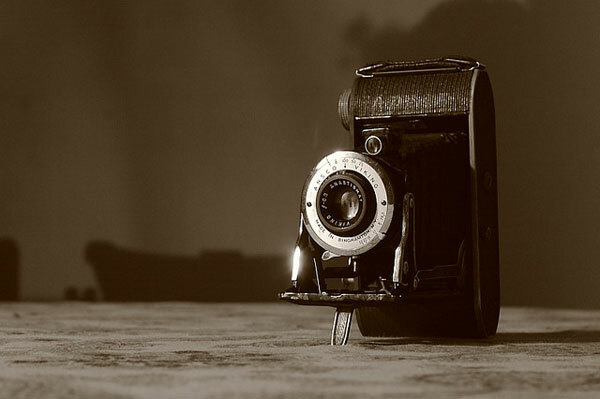 Michaels started back in 1928 as a pharmacy with a small selection of photography equipment. It was during the 50s that the camera collection began. By 1975 Michaels was only selling cameras and photography equipment. The website boasts there are 2000 cameras on display with a total of 8000 in the entire collection. Well I'm suitably jealous. My own meager vintage camera collection totals eleven cameras. The cameras in Michaels museum date from the 1880's to recent times including early digital cameras. There are some really unique pieces in the museum including a compass camera, a neat collection of spy cameras, a ladies vanity camera complete with lipstick and mirror, a talking camera, the machine gun camera, cutaway lenses and clear demo cameras so you can see all the working parts inside. Th collection also includes lenses, darkroom equipment, books, film and plates, still projectors and lots more. Michaels Camera Museum is located on the second level of the Elizabeth street and its free to enter and browse for as long as you like.